Storey Publishing, LLC, 9781612123530, 256pp. 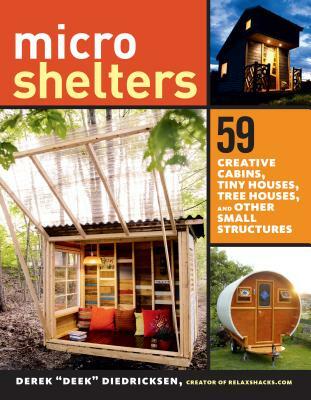 Derek “Deek” Diedricksen is the author of Micro Living and Microshelters. He hosts the YouTube channel RelaxshacksDOTcom and has hosted, built, and designed for the HGTV series Extreme Small Spaces and Tiny House Builders, as well as for the DIY Network. His work has been featured in numerous places in print and online, including NPR, the New York Times, the Boston Globe, the Boston Herald, the Seattle Times, the Wall Street Journal, Make magazine, Yahoo.com, and Apartment Therapy. Diedricksen lives in Stoughton, Massachusetts.